Caladium Pink Gem (Strap Leaf) - Brad's Bedding Plants, Inc.
Strap leaf varieties tend to be more compact than fancy leaf and also have smaller leaves. 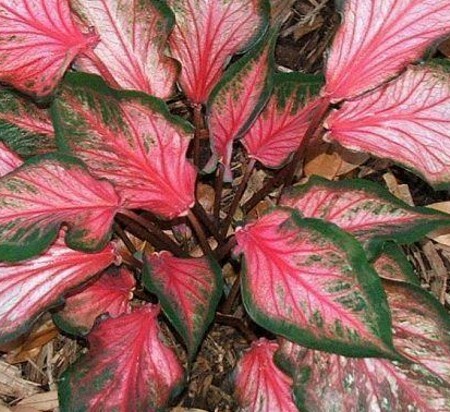 Strap leaf caladiums can withstand more sunlight and typically last longer. They do require water and don’t like to dry out. Grows 10-16 Inches tall.